W.A. "Dub" Hotchkiss: age 88, of Mud Butte, SD died Sunday, Jan. 12, 2014, at the Friendship Villa Care Center in Miles City, Mont. W.A. (Dub) was born at Raton, N.M., on May 10, 1925, the third child of Lora (Messick) and John Samuel Hotchkiss. He grew up on the home ranch near Capulin, N.M., and graduated from high school at Des Moines, N.M.
Dub joined the Army in 1944 during WWII. He was stationed in Hawaii, following Pearl Harbor, training other soldiers to drive anti-aircraft tanks. During this time his mother encouraged a young lady, a close friend of his sister's, to write to this homesick soldier. When he was honorably discharged in 1946 he returned to Capulin to help his father. He soon asked his faithful pen pal if he could come calling. Romance blossomed. He and Mozelle Johnson fell in love. They were married June 4, 1948. They made their home on the home place near Capulin. Daughter, Sandy, was born in 1952. After years of drought took their toll, they sold out and moved to Nebraska to farm with Dub's parents. Dub and Mozelle bought a ranch near Livingston, Mont., in 1956. Son, Terry, joined their little family that year. Hard work was always at hand including a dairy and hundreds of chickens. Cindy, their youngest, was born in 1961. In 1966 they moved again, buying a ranch north of Big Timber, Mont., where they lived until 1973. Dub longed for good grass country and no irrigation. He did some searching and found a ranch near Mud Butte, S.D. They pulled up stakes and moved to South Dakota settling in for 35 years. Through good times and bad, church was always a priority and a very important part of Dub's life and that of his family. He served on church boards and taught Sunday School wherever they lived. Dub's deep and genuine love for God and his family characterized his life. He knew and loved his Lord Jesus and wanted others to know Him too. 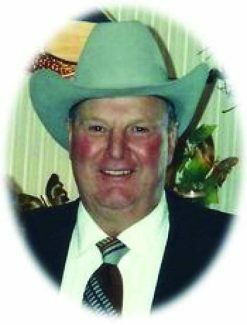 Dub loved raising black cattle, cutting hay, and fly fishing the streams of Montana. He loved playing with and teasing his kids and grandkids who were very special to him. They loved to hear him sing and yodel. He seldom met a stranger and if he did, they weren't strangers for long. He was dearly loved by all his family and friends and will be deeply missed. For his life and the godly legacy that he left, the family is truly thankful. Dub is survived by his wife, Mozelle of Hathaway Mt, and Mud Butte; son, Terry (Beth) Hotchkiss of Mud Butte; daughters, Sandy (Max) Blanchard of Hathaway Mont., Cindy (Ken) Baumeister of Worland Wyo; 8 grandchildren, Cassie, Andrea, Evie, Jamin, Wesley, Ashley, Christian, Blane; and 11 great grandchildren. The funeral service was January 18, 2014 the Opal Community Church in Opal. Memorials are preferred – to the Rainbow Bible Ranch or Gideon's International.